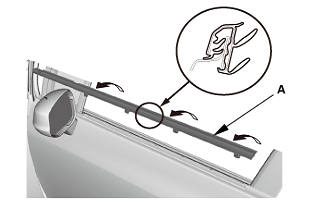 Detach the harness clip (A). 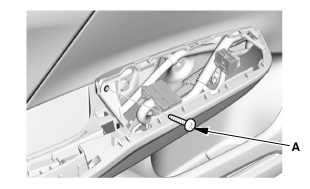 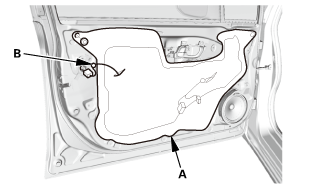 Remove the plastic cover (B) as needed. Remove the door glass outer weatherstrip (A). 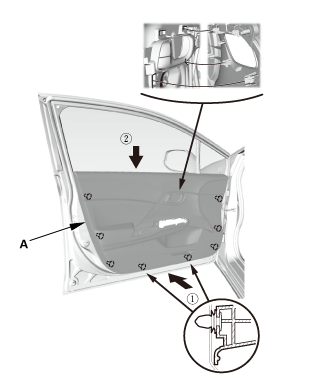 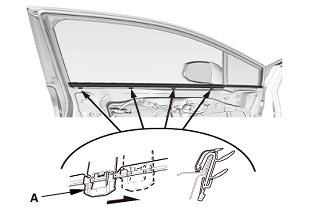 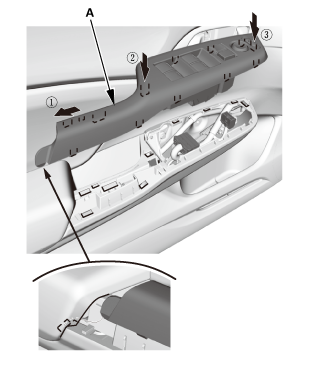 Install the door glass outer weatherstrip (A). Slide the clips (A) onto the flanges. 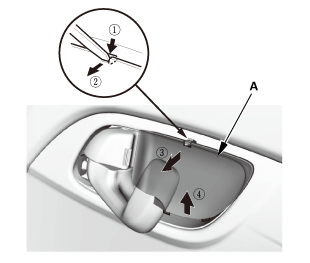 Attach the harness clip (B).